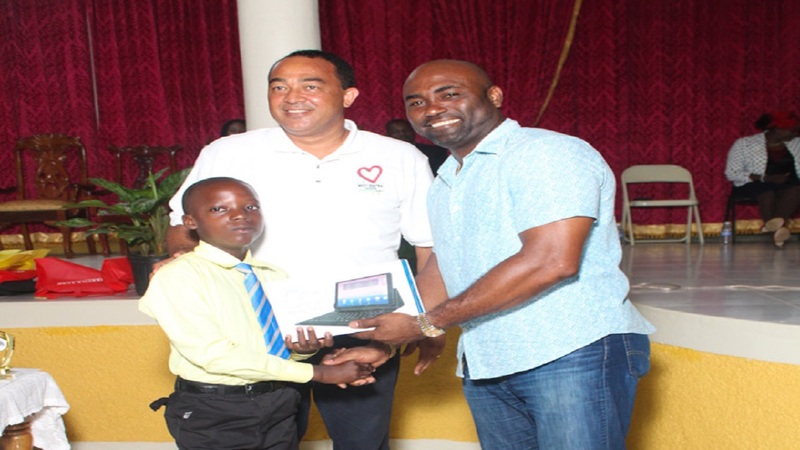 West Central St Catherine Member of Parliament Christopher Tufton recently presented awards, including financial grants to children in the constituency heading back to school. 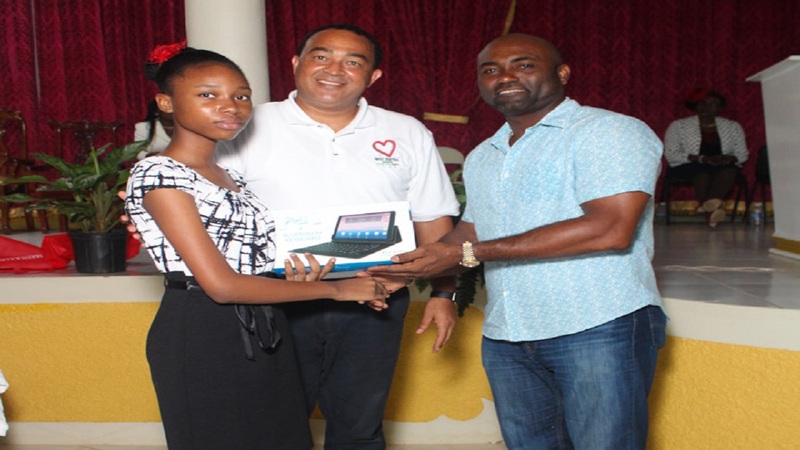 At an intimate award ceremony, held at the Watermount Open Bible Church in the constituency, Tufton said the awards serves as both congratulations and encouragement for the students ahead of the new school year which began this week. A total of 135 students received awards and grants, 109 of which are tertiary students who shared a total of $2.18 million. 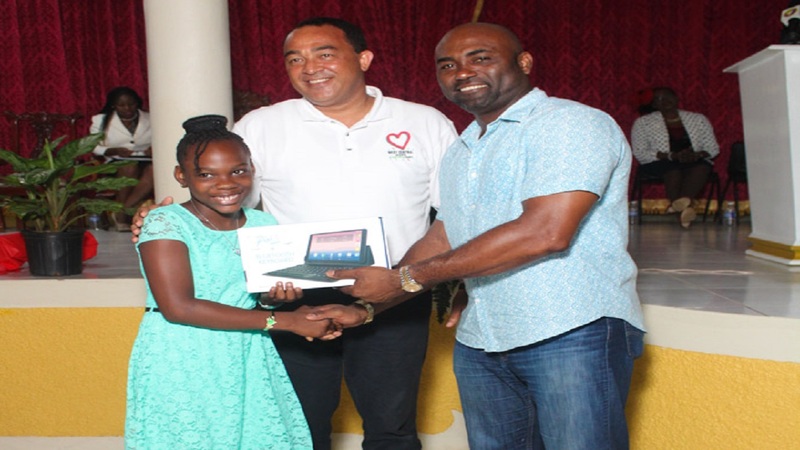 “We know times are hard so in addition to congratulating our outstanding students, we also want to lend a hand in terms of financial support,”Tufton said. Each of the 26 GSAT awardees received tablets courtesy of the Universal Services Fund, an agency under the Ministry of Science, Energy and Technology mandated to ensure access to information and communication tools to facilitate development. They also each shared $300,000 bursaries from the MP. DeAndre Gordon of Wakesfield Primary was both top boy and overall top GSAT student with an average of 96%. He was awarded a trophy, a $10,000 cash grant as well as a tablet. Kades Reynolds, also from Wakesfield Primary and Makada Thomas from Brown`s Hall Primary tied for the top girl spot with 95% average. They too were awarded trophies, $10,000 cash grants each and tablets. Tufton said he was extremely proud of the students’ efforts. “When we have students getting averages in the 90s, we must continue to invest in them and keep pushing them forward. They need our constant support and encouragement if they are to continue to do well,” Tufton said. Guest Speaker Minister of Science, Energy and Technology Andrew Wheatley, announced that approval has been granted for the installation of four wifi hotspots in the constituency where residents, including students, can all have access the internet. “It will provide an opportunity for children to access the internet and utilize their smart devices to get access to websites, in particular the Ministry of Education website which has what we call a central repository for education material which houses the education material that children can use to facilitate the learning process. So if you are doing GSAT or CSEC you can find information online. Children will be able to use these community access points to access the internet to assist with homework and research,” Wheatley said. The hotspots, he continued, will also serve as ICT training centers for the communities. “A critical component of the new community access point is that they will also serve as a focal point for training in the various communities. We want to move the people away from using the internet only to access social media so we have partnered with the MP to do training so they can create employment opportunities for themselves as well,” Wheatley.